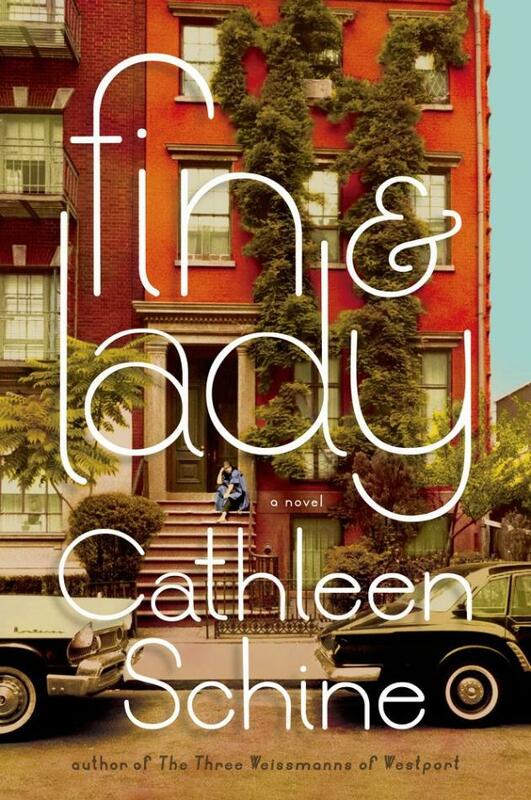 This week I read Fin & Lady by Cathleen Schine. The two title characters are half-siblings, the product of a liberal New York senator, and I love how the characters are named. Lady becomes Fin's guardian because Fin's widowed mother loses her fight with cancer. At the funeral, all eyes are on Lady; She's wearing the shortest dress Fin has ever seen. Their getaway car is a turquoise Karmann Ghia when Lady takes Fin and his dog Gus away from his grandparents' dairy farm in Connecticut to live with her in her new posh Greenwich Village digs. Fortunately for Lady, her mother left her wealthy. It's 1964, and Fin hadn't seen his sister in six years. Lady is described as a "loose cannon" by her father. Six years earlier Lady escapes a shotgun wedding and decides to take care of the pregnancy in Europe. Fin and his parents fly to Italy to bring Lady home after searching all over Italy for her. I can't imagine such a feat without cellphones and the internet! This is the last time Fin sees his sister before his mother's funeral. Fin's early memories of Lady are sweet and insightful for a six year old. Lady refuses to fly so the family returns to the states via an ocean liner. Fin loves that "the Hadley family" is together, but Lady and Senator Hadley constantly fight, and Fin is shocked that Lady has the audacity to laugh at the Senator. No one laughs at Fin's father! Once settled in their new home, Lady assigns Fin an important job: She wants Fin to find her a husband. There are many suitors, but only three stick around for the duration: Tyler, her jilted bridegroom and attorney. Fin doesn't trust him, and he calls him "Sextillions of Infidels." Fin's fear is that Tyler will send him off to boarding school if he and Lady marry, but Mabel, the pair's wise maid, reminds Fin that "Our Miss Lady is foolish, but she's no fool." Jack is an ivy league jock who doesn't seem very smart. Fin dismisses him from the start. And then there's Biffi, a Hungarian Jew whom Fin adores. Fin wants Lady to choose Biffi as her husband. "The suitors had become part of life. Like school. Like baseball. Like the movies that ran over and over on Million Dollar Movie. Like the chance of snow..."
Fin is enrolled in New Flower, a progressive school "with a Kindergarten curriculum." His closest friends are Henry and James who become a unit (Henry James), and the suitors continue their quest for Lady's hand in marriage. The plot seems to come full circle several years later as Lady runs away (again) to Italy. Everything changes in Italy, and their unconventional family becomes even more so on the continent. The novel is Fin's story, his tribute to his sister. However, the first person narrative is told by an unknown character. This is unsettling to me because I'm unsure how much I can trust his or her perspective, but all questions are answered by the end of the novel. Fin & Lady is a delightful book. Schine doesn't overly delve into the politics and social culture of the sixties but instead maintains her focus on the relationships of the unconventional Hadley family. The ending is bittersweet, and if this book doesn't encourage you to run away to decadent Capri then you aren't paying attention. Ooh,I may have to add it to my list! What a beautiful cover on this book! I'm linked with you today! Sweet hugs! Oh, I love those exotic settings that make you just DREAM of them. Yay! Sad story for the kids but I love that car. I have read only a couple of books this summer but did read one over last weekend at the beach. Waves lapping and me reading away. It was awesome. I wish I was back there. Have you started school yet with your daughter? Sounds like a fun read for this girl of the 60s. 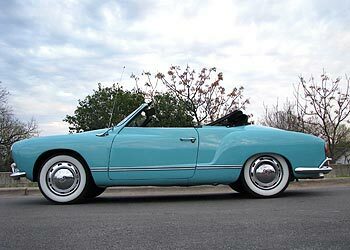 A turquoise Karmann Ghia and a convertible at that! Gotta read this one! Thanks for another recommendation. This book sounds like a great read. I love books set in Europe, at least for some of the plot. The Karmann Ghia is definitely an eye-catcher. I'm joining in for the first time this week. Looking forward to finding new authors to read. This sounds very interesting. I love stories set in the 60's. How is is on language and adult situations? This book is on my TO-READ list! Sounds delightful! My dad had a Karmann Ghia back in the 70s. Bright yellow! I remember he let me ride in the front seat when I was tiny. Ha! Kids can't do that anymore. Good times. Please email me. I have a question to ask you. Are Electrical Insulators the New Mason Jars?